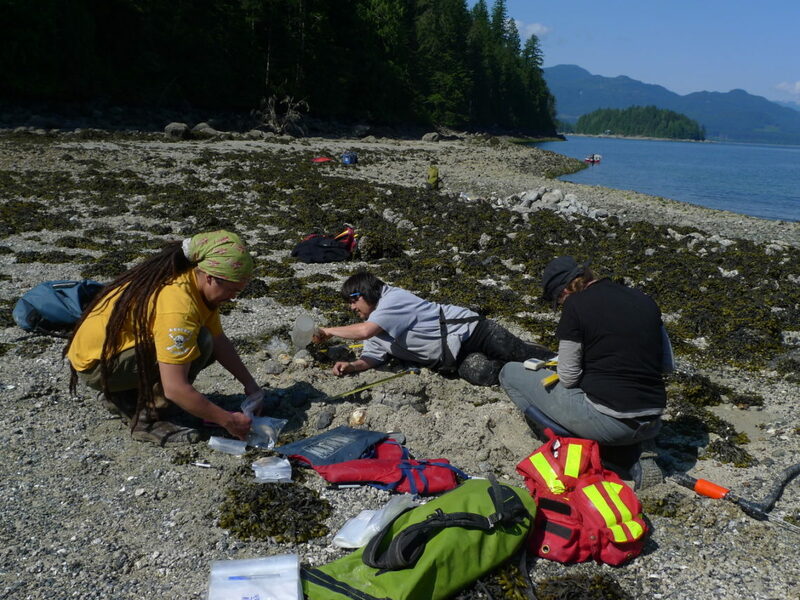 The Indigenous Peoples of British Columbia have been harvesting shellfish from specially-constructed clam gardens for at least 3500 years, according to a study released February 27, 2019 in the open-access journal PLOS ONE by Nicole Smith of the Hakai Institute, Dana Lepofsky of Simon Fraser University, British Columbia and colleagues. This research offers new methods for tracking the history and development of mariculture. 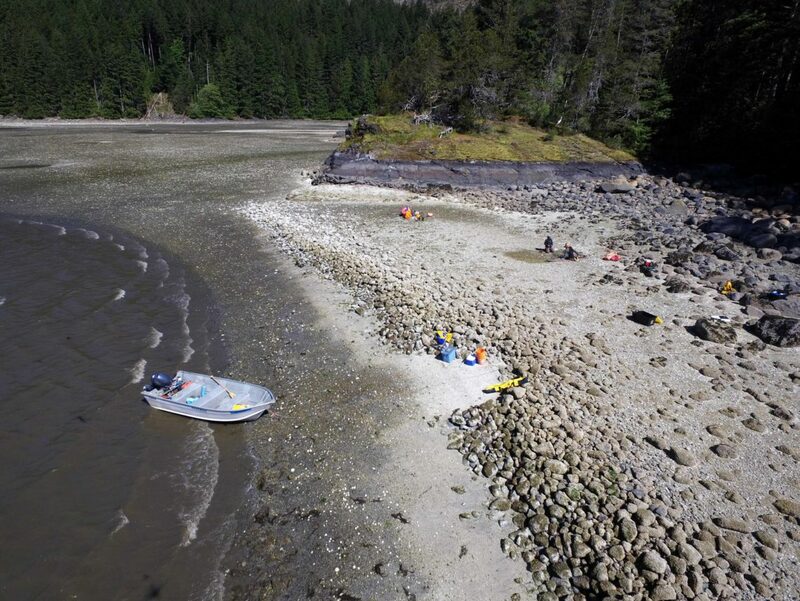 In this study, Smith, Lepofsky, and colleagues surveyed nine ancient clam gardens in the Kanish and Waiatt bays of Quadra Island, British Columbia. At each site, they identified suitable samples for constraining the age of construction of the gardens, focusing on shell samples from within or beneath the garden walls and beneath the terraces. In total, they collected 35 radiocarbon dates on the shells of clams, snails, and barnacles ranging from at least 3,500 years ago to the 20th Century. The authors also corroborated their dates with data on the regional history of sea level change, and with dates from other marine management features in the region. They provide a set of guidelines for determining accurate ages of three different forms of clam gardens, which they hope will allow for more detailed tracking of mariculture history in the Americas. They note, however, that their methods are preliminary, and will likely require fine-tuning at clam gardens of different regions and ages. For thousands of years, First Nations of the Northwest Coast relied on clams as a staple food. On-going harvesting to support dense and widespread human populations could have depleted this important resource were it not for traditional systems of management that instead maintained and increased clam abundance. One such management technique was the building of rock-walled terraces in the intertidal to create what are known today as “clam gardens”. These human-built terraces created clam habitat where clams could flourish. Oral traditions, songs, and local Indigenous knowledge, as well as the archaeological record indicate that clam gardens were built and used throughout the coast. However, because clam gardens are constructed of rock, it is difficult to determine the age of these features using standard archaeological techniques. In our study, we radiocarbon dated clams and other marine organisms that were trapped when the clam garden walls were built or when the terraces were accumulating sediment, and combined this information wtih our knowledge of changing sea levels in the past. 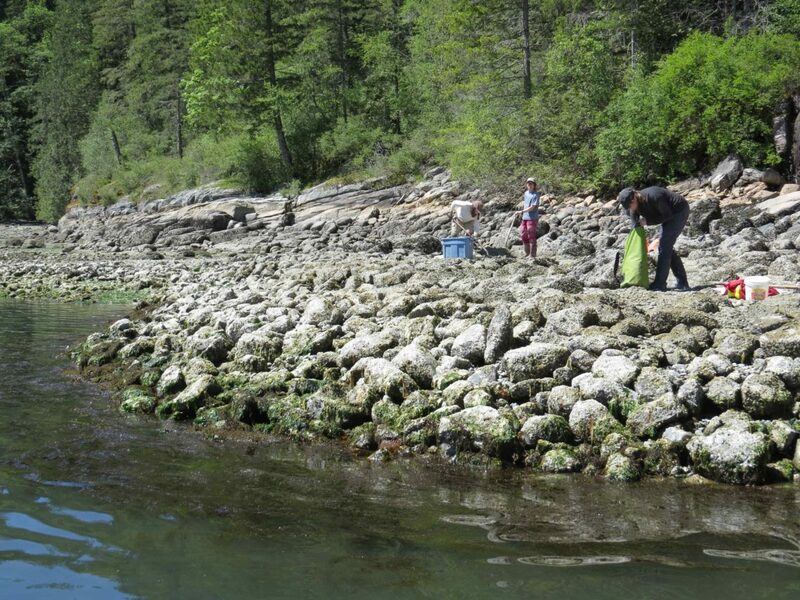 We identified three general kinds of clam gardens: those built on bedrock, those built on boulder slopes, and those built to extend already existing beaches. Together, these data indicate that clam gardens were being built on the coast at least by 3,500 years ago in a wide range of beach settings. This in unequivocal evidence for long-term and sustainable management of coastal ecosystems by Northwest Coast peoples — and supports what Northwest Coast Indigenous Peoples have always said about their traditional marine management practices.